Now more than ever, fear and uncertainty are becoming staples of daily life. During changing times, it's easy to worry, give up, and let fear paralyze you. However, you have more control than you think you do, and how you handle adversity is your choice - the only choice that matters. 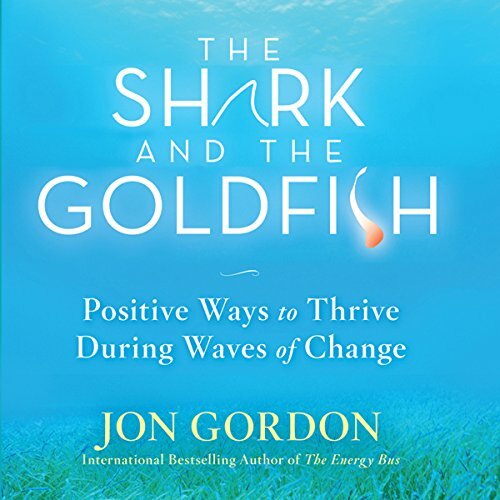 In The Shark and the Goldfish-, best-selling author Jon Gordon shares an inspiring fable about a goldfish who has always been fed, a nice shark who teaches him to find food, and a wave of change that brings them together. 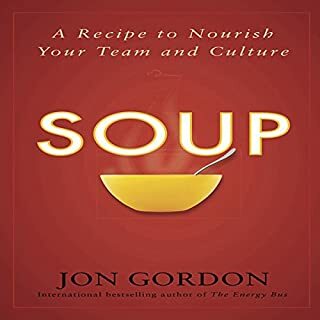 In the process of finding food the shark teaches the goldfish the ultimate lesson - that the difference between a full belly and an empty stomach depends solely on your faith, beliefs, and actions. In the face of adversity, this is a simple fable that reinforces a proven truth - you can't control the events in your life. But you can control how you respond to them. You can allow the waves of change to crush you, or you can learn to ride them to a successful future. Packed with tips and strategies for thriving during tough times, The Shark and the Goldfish will have a lifelong impact. I loved this simple story! The story was simple but with Huge points! Starting to swim today! I wasn’t expecting what I heard in the book- I will most likely listen to this at least once a month if not weekly on some drives I make. Hits home to a lot of our “programmed” thinking. It is also relatable to many areas of life (Walk with God, Social, Career, and mentality) Am I only here to survive or to thrive? Short but effective. 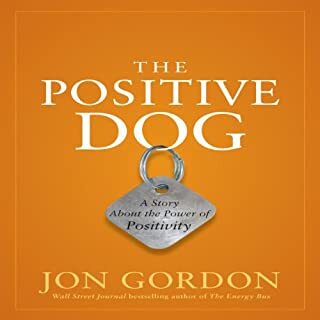 Impactful lessons on taking focused daily action, being positive, and empowering others. 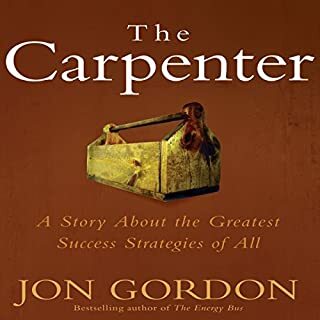 A great gem to have for a quick pick-me-up/reminder in your personal development library. This story meet me right where I was in my personal and professional life. Loved it! 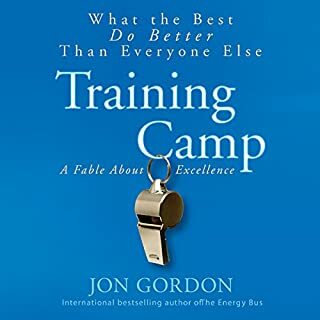 This is a great quick read. Helps to refocus any bad day and make it a positive one. 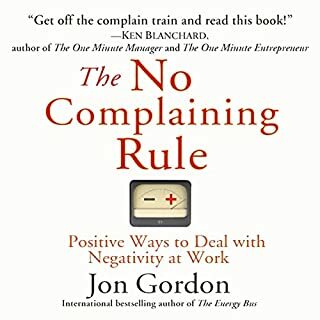 This book is great for surviving drastic change or entering new work environments. Very inspirational and on par for my life right now. Beautiful words of wisdom and a fun listen in the car on the way to work! The Shark and the Goldfish as a simple, lighthearted book with a meaningful message. The goldfish is a character, used to being fed and cared for by others, and the shark is a friendly fish who lives by his wits. The shark trains the goldfish in this short parable and little fish discovers a sense of power, self determination and stability. It's an excellent book for anyone making a living in an uncertain world! 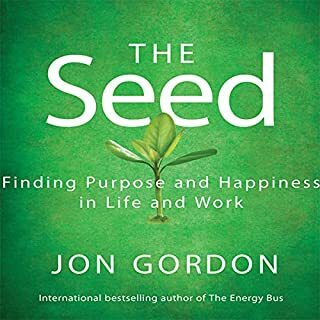 Worth a read for anyone that need that positively in their life as the story in this book was inspiring to hear how the goldfish overcome it's struggle just looking for food in the ocean.